KAMPALA. 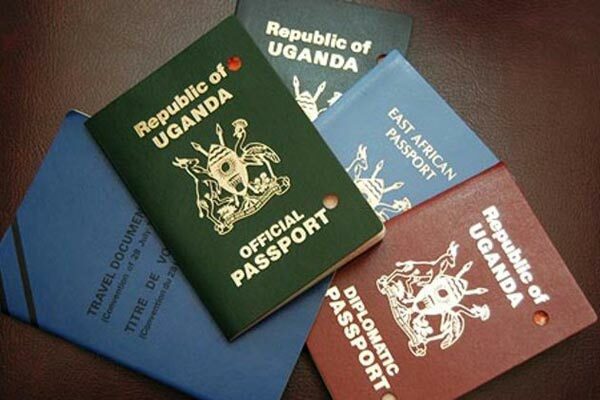 The government, together with the secretary general of the East African Community (EAC) have been dragged to court over the move by government to charge its citizens Shs250,000 to acquire a new EAC E-passport. In their lawsuit that they filed at the registry of the East African of Justice in Kololo, Kampala two youth, Norman Tumuhimbise, Arnold Musoke and a nongovernmental organization labelled ‘Youth Line Forum Ltd’, claim that the period given to the Ugandan citizens to switch to international EAC E-passports, is not sufficient and exclusionary to both Ugandans living both within and abroad contrary to the principals of equality, accountability and the rule of law. The youth who spent the whole day at the registry of the East African of Justice have asserted to take their petition at Arusha after the registrar and his clerk were nowhere to be seen to receive their petition. The youth also accuse the heads of state of the EAC countries for directing partner states to begin issuing the new international EAC passport beginning January 2017 without any legal backing and regulatory framework contrary to the principles of equality, accountability, transparency, variable geometry, subsidiarity rule of law, good governance and democracy enshrined in Article 6(d), 7(d) and 8(c) of the Charter. Through their lawyers of Kiiza & Mugisha Advocates are seeking for a declaration that the failure and or refusal of the East African Community to pass and or set the standard fees to be charged by partner states for the EAC E-passports is inconsistentprinciples of equality, accountability, transparency, variable geometry, subsidiarity rule of law, good governance and democracy enshrined in Article 6(d), 7(d) and 8(c) of the Charter. They also want a permanent injunction restraining the respondents and any of their authorities, agent’s agencies and organs from proceeding with or further implementing the impugned directives herein contested until a clear legal foundation for the EAC E-passports has been established in Uganda at an equitable and affordable rates reached after a meaningful public participation that enhances social justice.